Cane River Creole is a National Historic Park in Louisiana. Spanning over two hundred acres, it was formally established in 1994 on Cane River Lake. 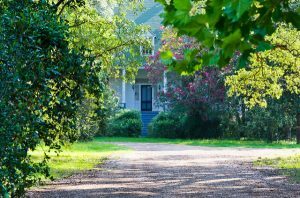 It is well known for its cotton plantations and features two of the most intact plantations in the United States. There is a rich history for land owners, slaves, workers, and farmers. 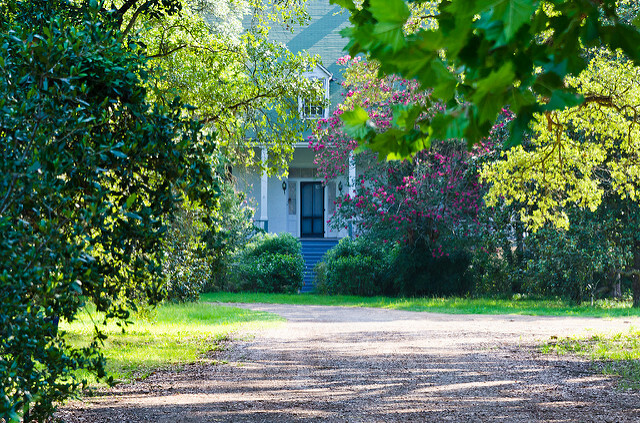 The most well known and best kept plantation home is Magnolia Plantation. It features slave buildings, a blacksmith shop, cabins, a gin barn, the main home, and a former slave hospital. It was founded in 1830 by Ambrose Lecomte II with his wife, Julia Buard. Fully functioning as a cotton farm until the 1970s, it once spanned over five thousand acres. Visitors and guests are able to take a step back in time and imagine what it was like to live in the times. 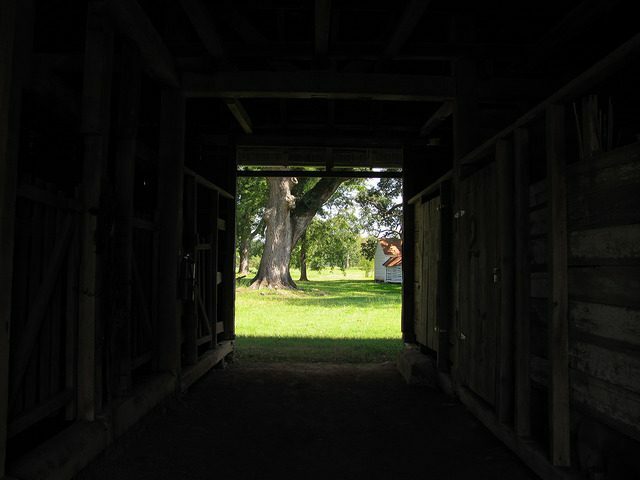 They walk the grounds, peeking in and out of buildings, trying to imagine what it was like to work and live in the area during the time of the Civil War and high tensions that came with the war between the northern and southern states. Unfortunately, many visitors also get experience at the home they weren’t planning on. Many have noted flickering lights inside the mansion after dark, despite the fact there is no electricity running to the main house. People have noted a specific rocking chair that rocks on its own and the apparition of a man in a Civil War uniform that stares out an upper floor window. Other guests have noted the smell of gardenias floating throughout the house, even long after their season has passed. Those staying in the house have reported leaving their rooms a bit of a mess and returning to find them neatly folded on the bed. Sometimes the piles include clothing or items from other guests and rooms. Other flabbergasted guests were surprised to find items in the pile that they had lost years ago. Some claim the apparitions, noises and occurrences are from the restless soul of the overseer of the home that was shot by Union soldiers. During the Civil War, federal soldiers closed in on the main home and used it as a stronghold. Others are convinced the strange occurrences are from the angry souls of the slaves that were housed on the plantation and instrumental in the success of the cotton farm. Journals at the home talked about leg and arm stocks, used for public punishment, humiliation, and starvation. They told stories about slaves escaping that were chased all the way down to Texas in order to be returned “home”. Some suggest that the angry spirits wreak havoc in the home in exchange for the way they were treated. Many think the spirits of the slaves are responsible for some of the events both during and after the lives of the original owners. Altered religious medals, a figure of a voodoo goddess, and upright cologne bottles were found buried in the slave quarters. Cologne bottles buried such a way not only suggest deliberate action, but are commonly found in voodoo curses as a way to steal the good luck of other people. The objects were found in strange places, including doorways and chimneys. Many guests and visitors report hearing strange chanting and knocking when visiting certain portions of the Magnolia grounds. 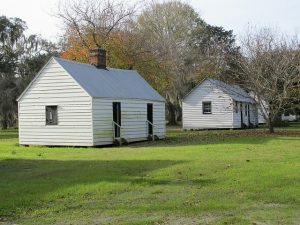 The occurrences are most reported in the old slave hospital and the brick slave quarters. The two room units housed entire families. Sometimes numbers of up to ten were crammed in the spaces with nothing but a fire place. 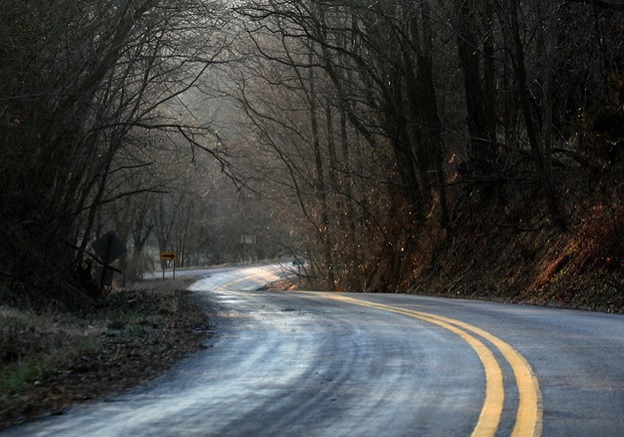 Some blame these bad conditions and poor treatment for the paranormal activity keeping the Magnolia Plantation active and the Cane River Creole Park a popular tourist destination.